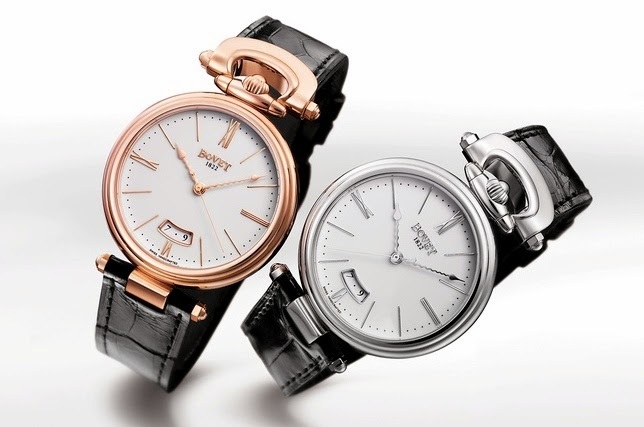 The Château de Môtiers Collection offers a wide range of timepieces. Powered by a mechanical self-winding movement, each model displays hours, minutes, seconds and date with understated elegance. Available in red gold, white gold or steel, the 40mm diameter case of this new collection features traditional bows and crowns placed at 12 o’clock and can be set with diamonds on request. 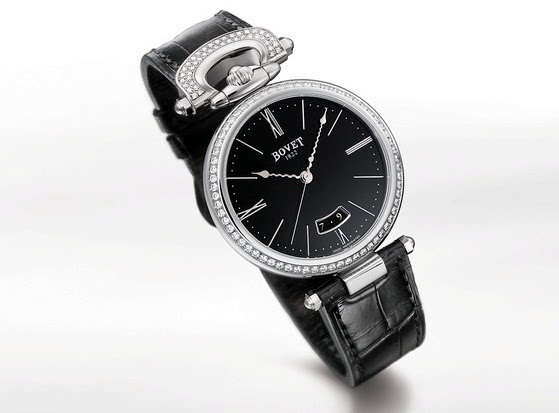 Offering a very good value, these timepieces are manufactured according to the qualitative criteria that have been the hallmark of BOVET for nearly two centuries. The Château de Môtiers, where BOVET timepieces are manufactured, is a 14th century edifice overlooking Le Val-de-Travers and Fleurier, birthplace of the House of BOVET in 1822. The collection owes its name to its classic appeal. It is the only BOVET collection not to feature a transparent sapphire case-back, which instead displays a sumptuous Fleurisanne engraving, the original exclusive and traditional BOVET motif. With the Château de Môtiers Collection, BOVET offers a family of timeless watches destined to leave their mark on history as a classic of the House.